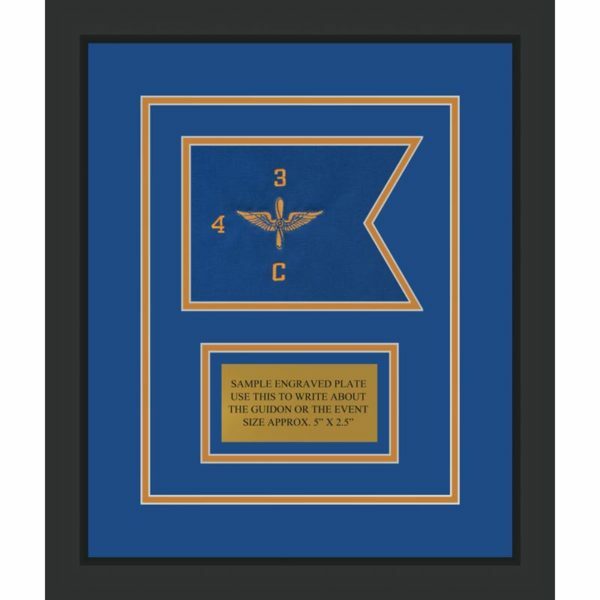 Aviation 7” x 5” Guidon Design 75-D1 Framed. 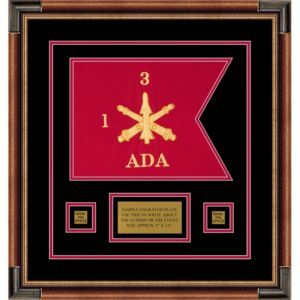 The framed army guidon features an embroidered single-sided guidon sewn onto the bottom acid-free mat. The Aviation guidon has triple acid-free mats. 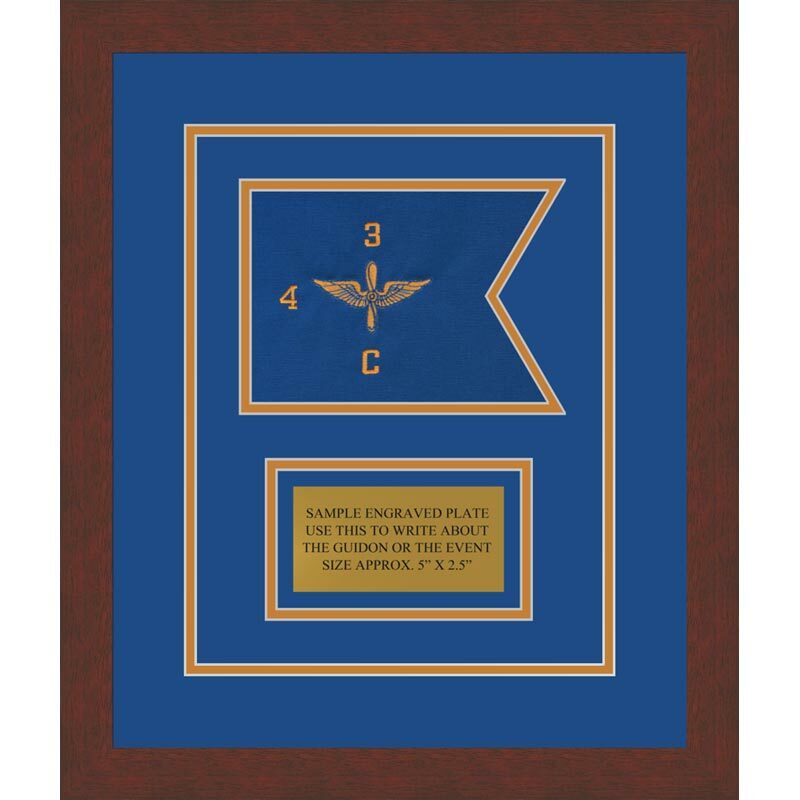 The top two mats are cut into the shape of the guidon with an opening for each object. The bottom mat is used for mounting objects in the openings. 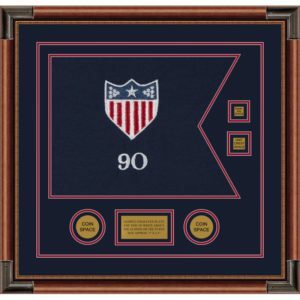 This example includes an opening for the guidon and a nameplate beneath the Aviation guidon. 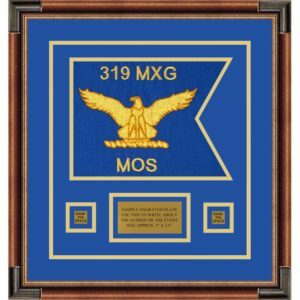 The design also includes an open V-groove immediately around the Aviation guidon and nameplate. 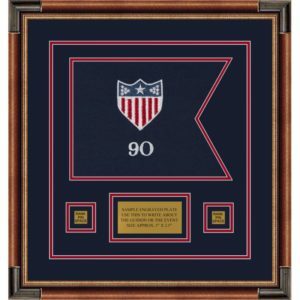 Surrounding the mats is a traditional 1.5” wide medium brown tone wood frame with metal corner caps. 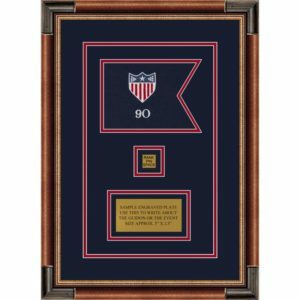 Other frame options include a 1.375” wide black matte finish wood frame or a 1.25” wide wood mahogany finish wood frame. The glazing for the frame is 99% UV protected acrylic. 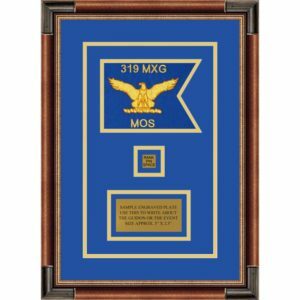 This frame selection is very popular with the military. This 7” x 5” Aviation guidon design contains two object openings for the guidon and nameplate. 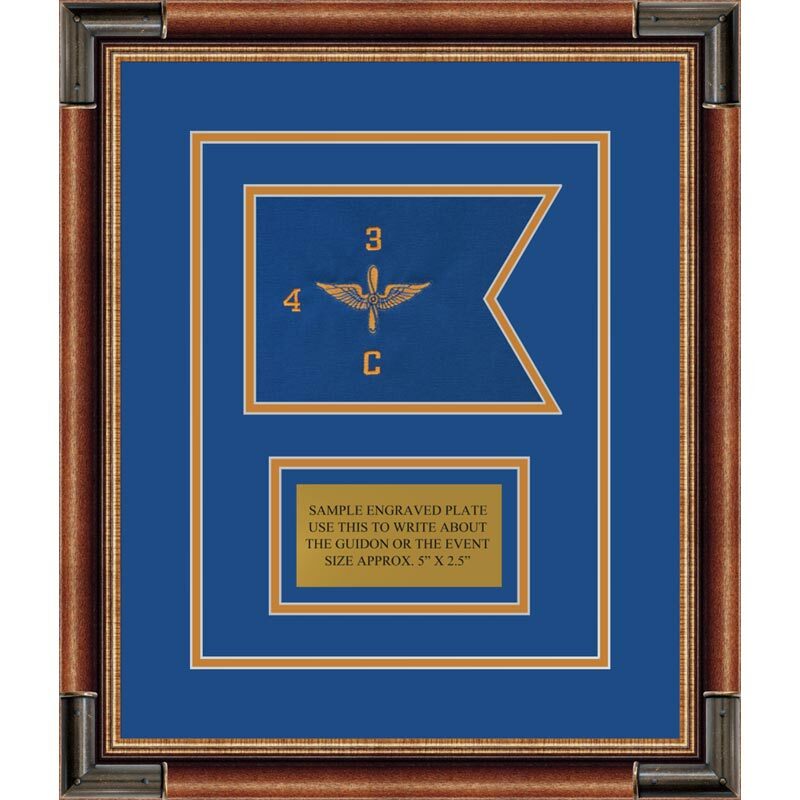 A medium brown tone wood frame with metal corner caps pictured in this example is our most popular frame for guidons and Aviation framing projects. It is also the default selection used for display. Be the first to review “Aviation 7” x 5” Guidon Design 75-D1” Click here to cancel reply.